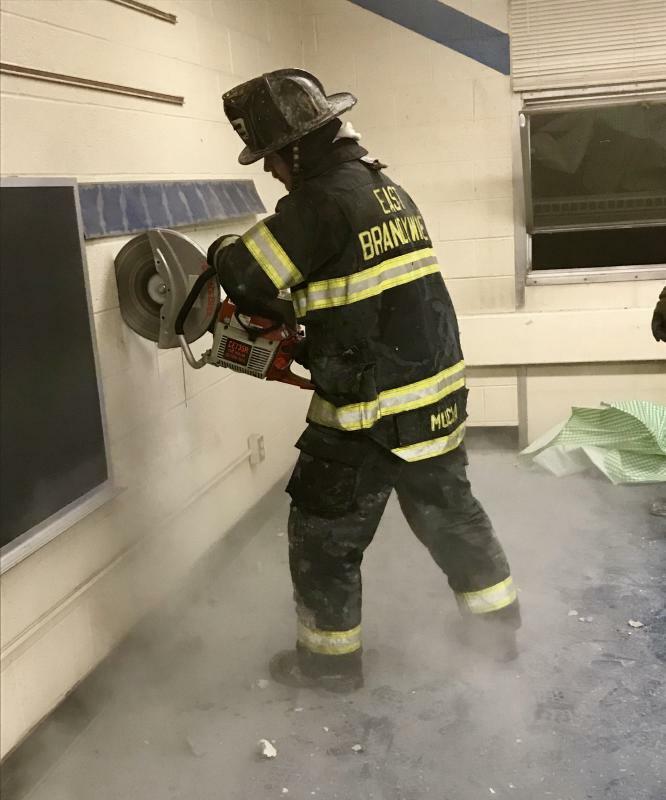 On Wednesday evening November 28th, the East Brandywine Fire Company volunteers participated in their weekly training session. The focus of the training session surrounded hose line advancement and wall breaching. 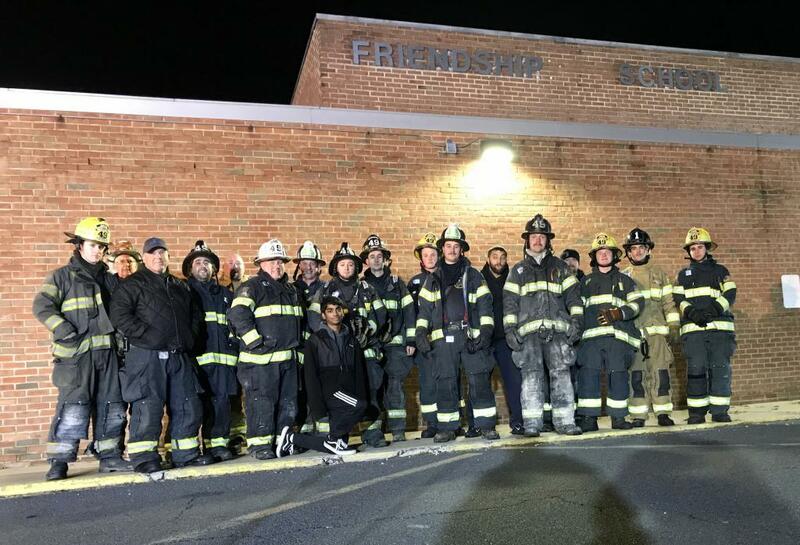 Over the course of the last two months our leadership team has worked closely with the Coatesville Area School District to facilitate training at Friendship Elementary School. Friendship School has been closed and slated to be torn down in the near future. Special thanks to Coatesville Area School District Superintendent Taschner and Police Chief Galbraith for working with us collaboratively on this project. Operating in a commercial structure provides invaluable training opportunities for our volunteers. Also thank-you to John Stout and his team from Belfor for dropping by and providing dinner prior to our training session. 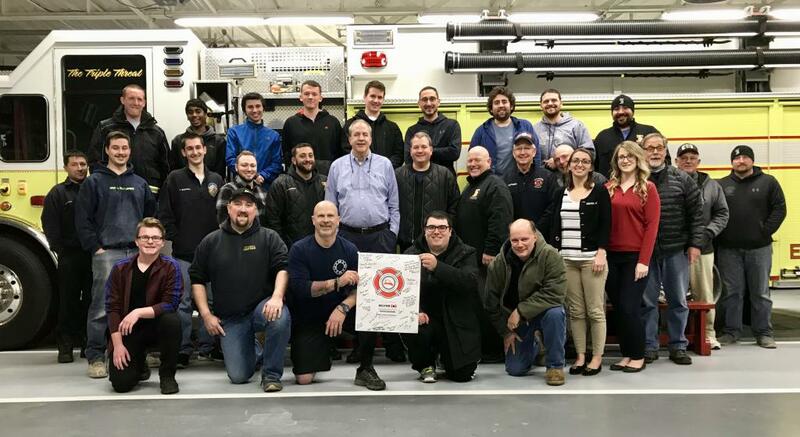 John and Belfor are true friends of the Chester County Fire Service.